Divers on the wreck of HMS Royal Oak. 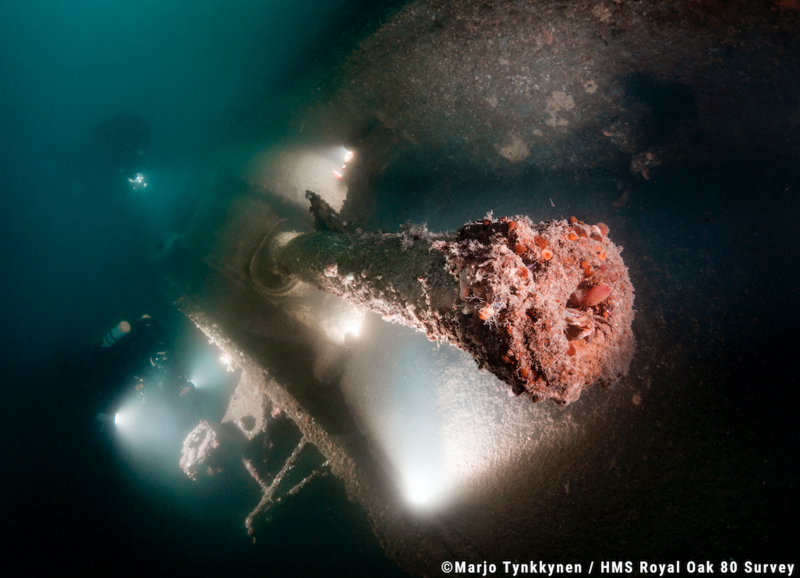 A VOLUNTEER dive team has been granted permission to extensively survey the official wargrave of HMS Royal Oak in Scapa Flow. New 3D photogrammetry techniques are being used and still photography and videography will allow the team to capture and share the spirit of the site. In the early hours of October 14, 1939, U47’s commander Günther Prien guided her silently into Scapa Flow, and launched a torpedo attack, In just a few minutes, Royal Oak was gone. 834 sailors perished, including over 134 boy seamen. This is part of a collaboration with the Royal Oak Association and the Royal Navy to document the last resting place of the men who lost their lives, so their passing can be remembered and preserved for future generations. The survey team is using state-of-the-art underwater imagery techniques, in order to produce high-quality photography and video. In addition, 3D photogrammetry is taking place so that digital 3D models of the wreck can be produced. By using these techniques, in essence, the team is able to digitally bring HMS Royal Oak to the surface. Full details and further pictures in The Orcadian this week. 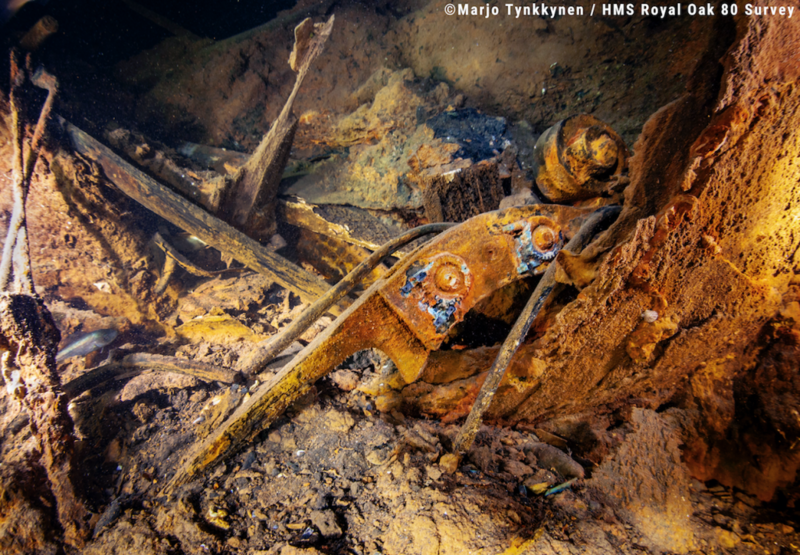 Remains of a double bass can be seen in this underwater image from the wreck.